Everybody's favorite inflatable robot superhero caretaker is back! 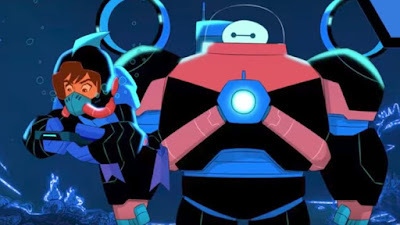 Baymax and Big Hero 6 are making the move from the big screen to the small with Disney XD's Big Hero 6: The Series. But if you're not able to wait until 2018 for it to drop, Disney has made it easy by announcing it will be preceded by a TV movie, Baymax Returns, on Disney XD and Disney Channel on November 20th. There's more, because the film will be immediately followed by a sneak preview of two episodes, which you can find on the DisneyNow app and Disney XD VOD. Finally, beginning November 24th a series of shorts will run for six weeks on Disney XD, the DisneyNOW app and Disney XD YouTube.